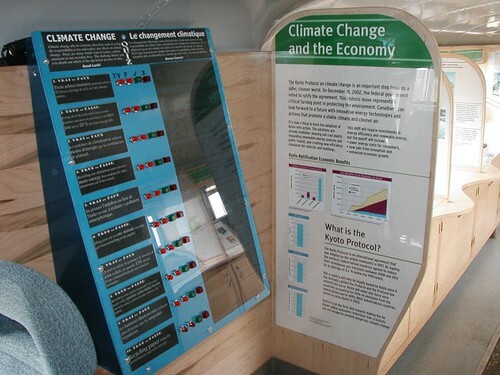 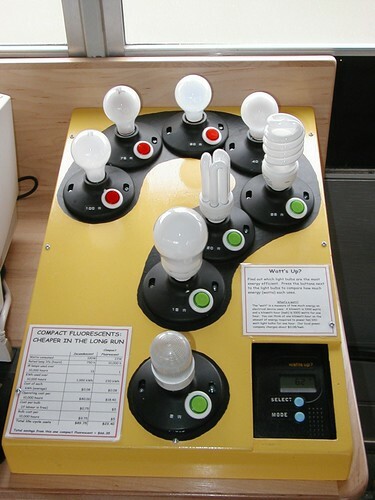 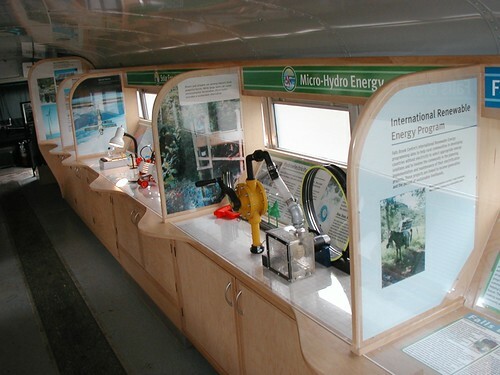 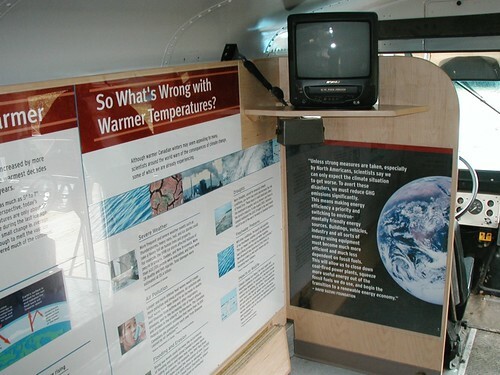 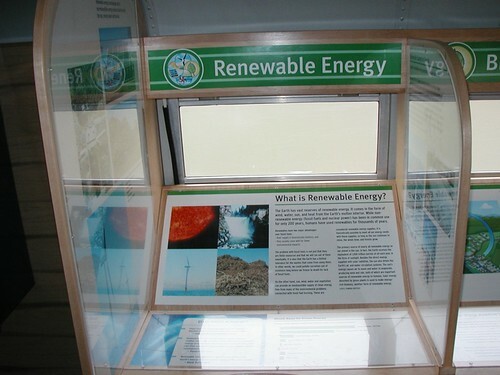 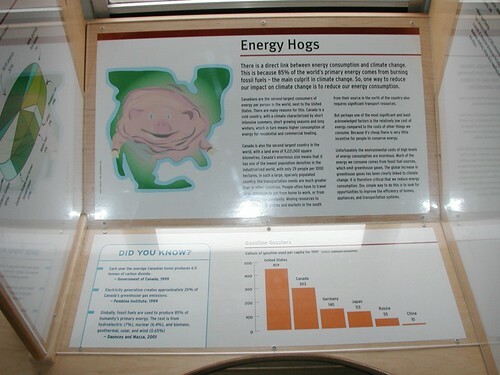 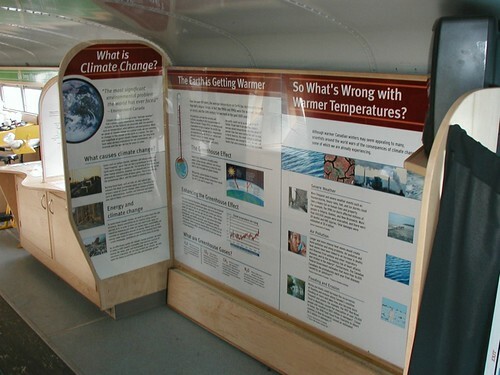 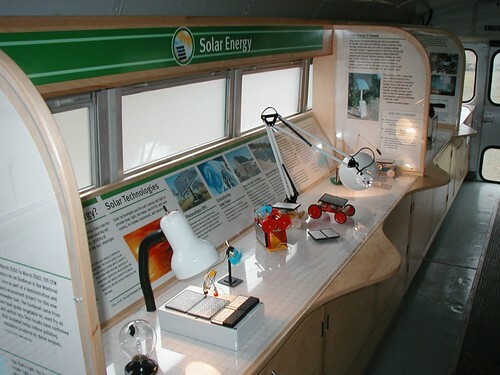 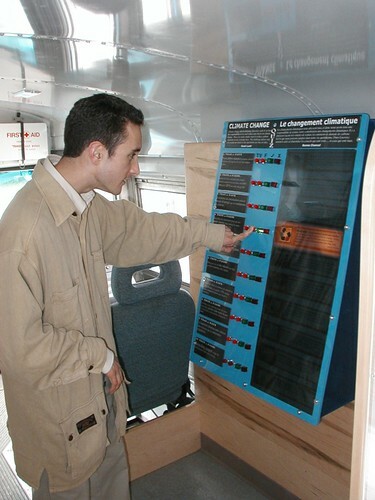 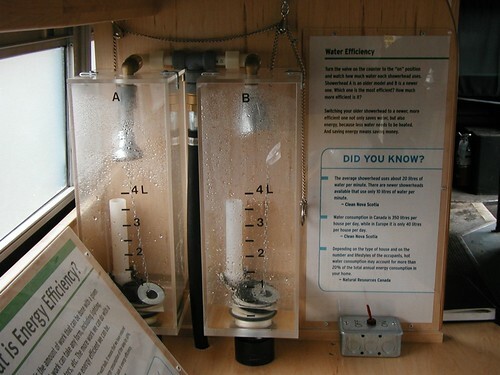 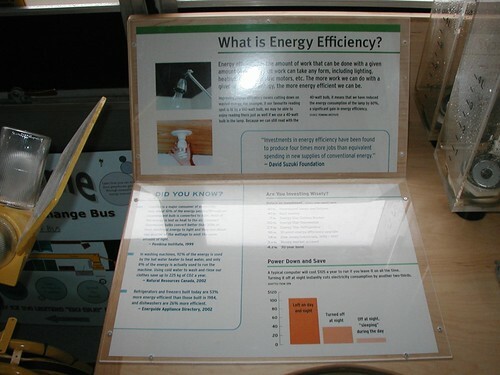 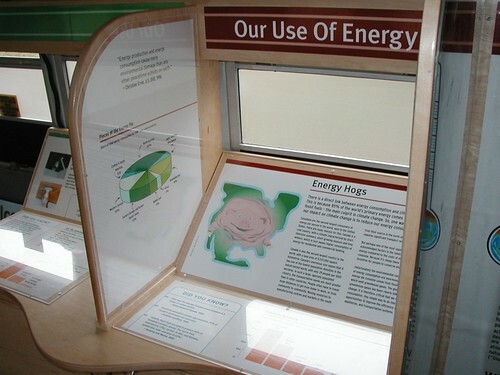 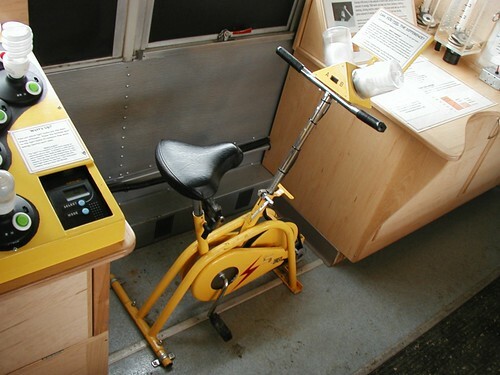 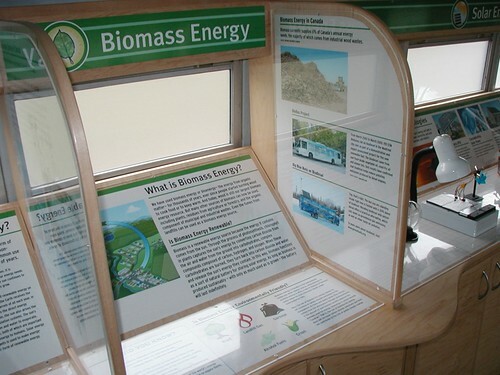 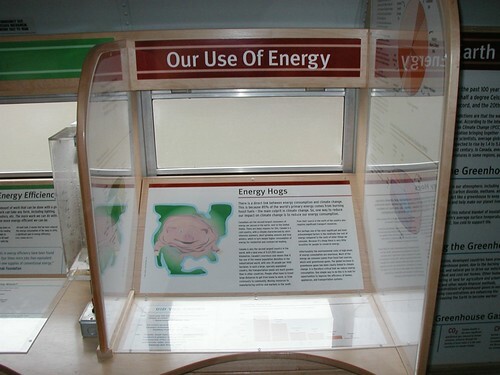 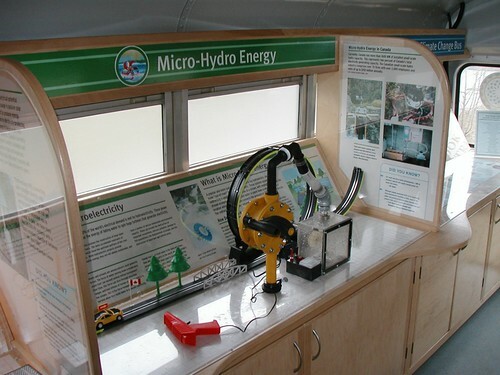 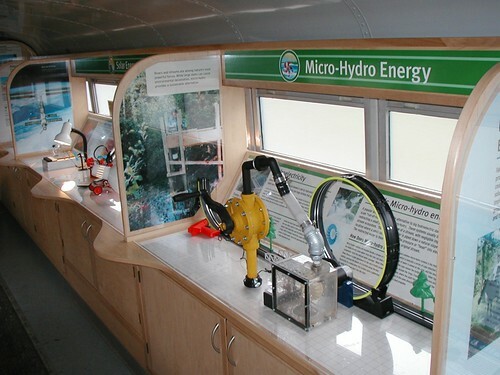 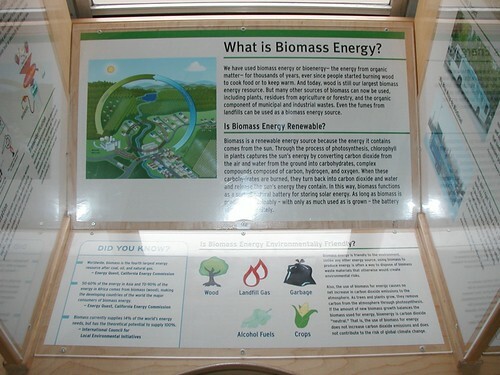 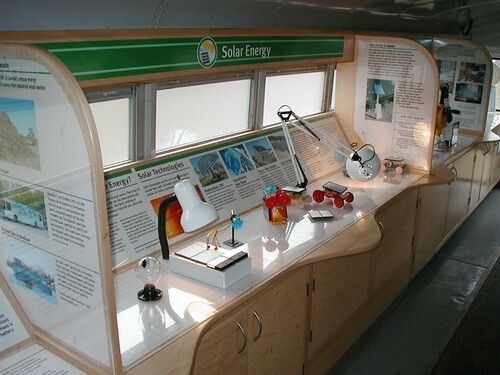 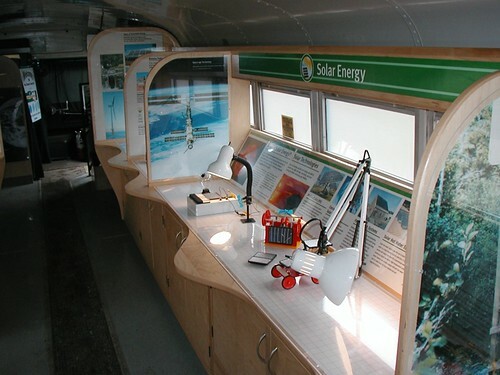 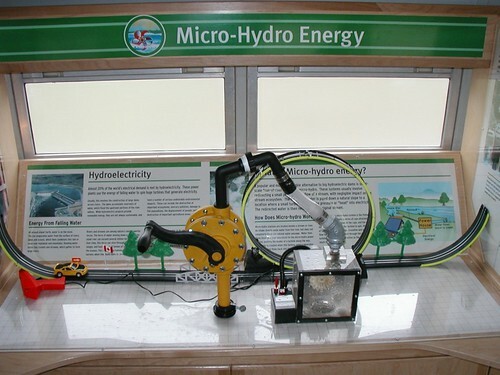 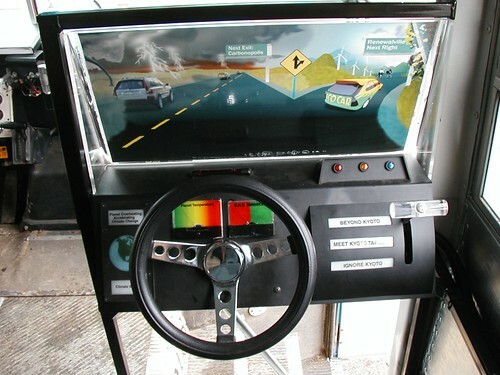 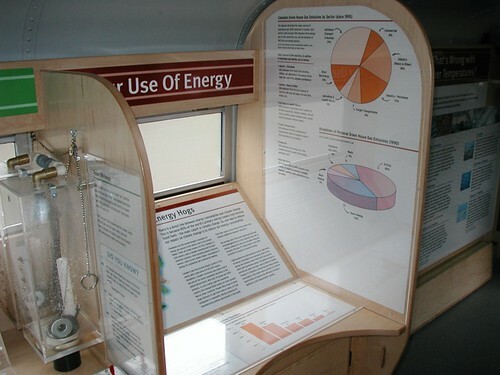 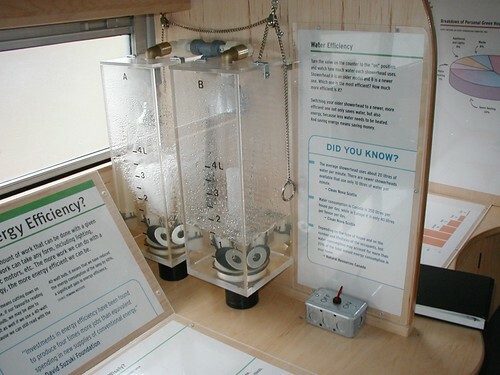 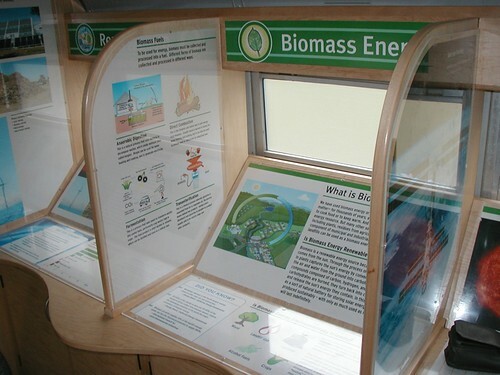 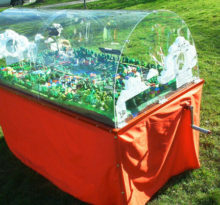 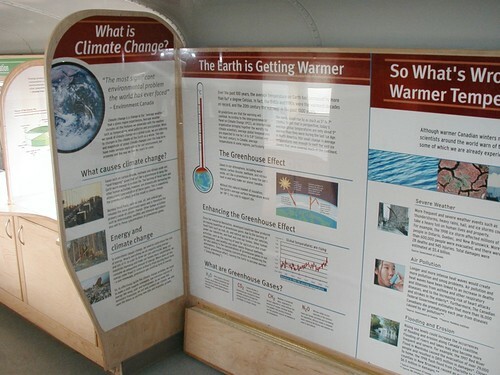 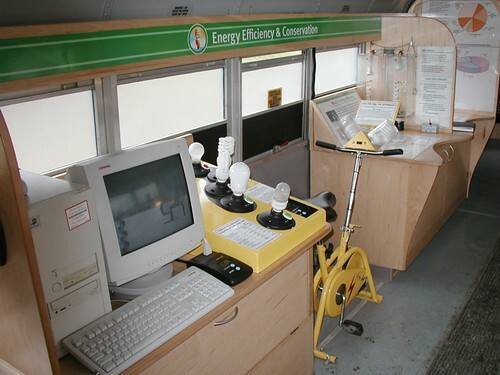 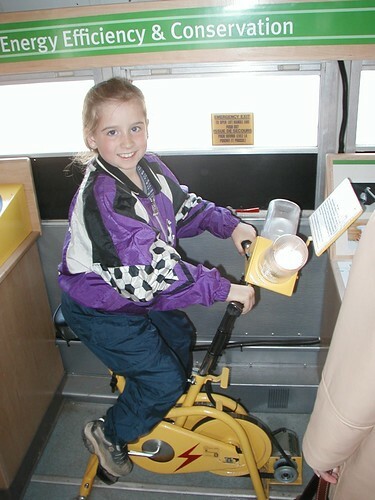 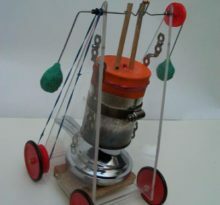 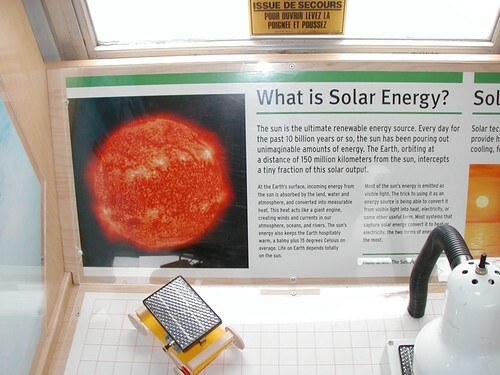 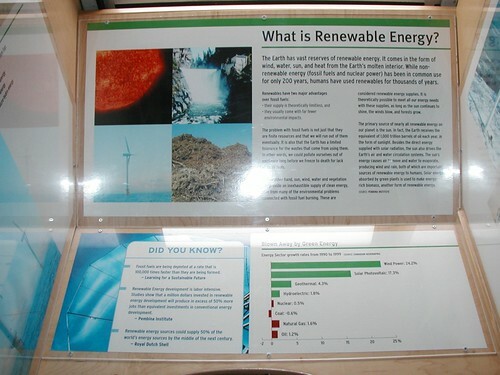 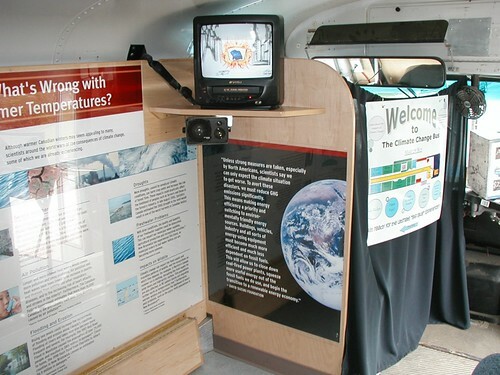 A mobile interactive science museum on climate change, energy efficiency, and renewable energy. 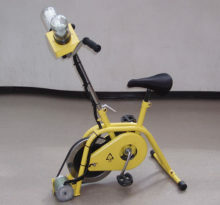 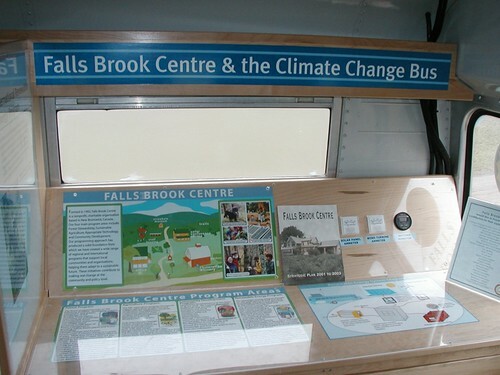 Designed and (mostly) built in 2003 by me for the Falls Brook Centre. 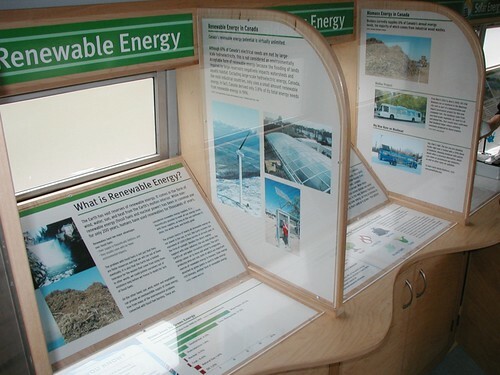 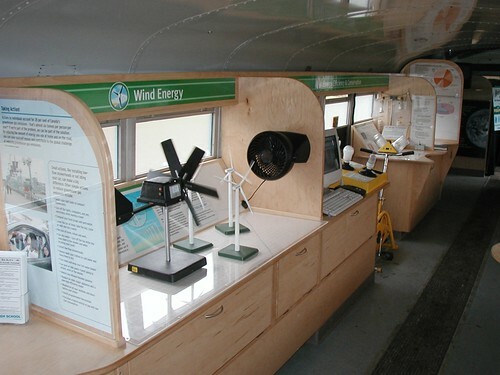 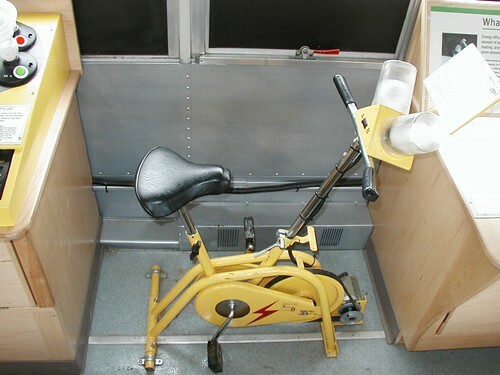 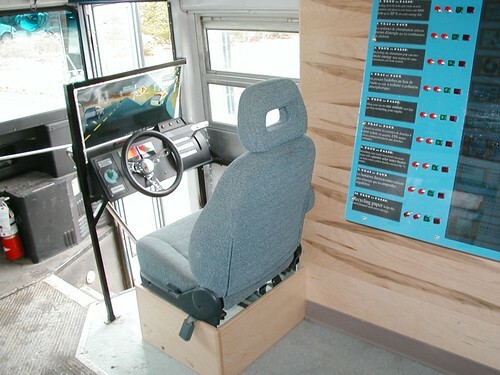 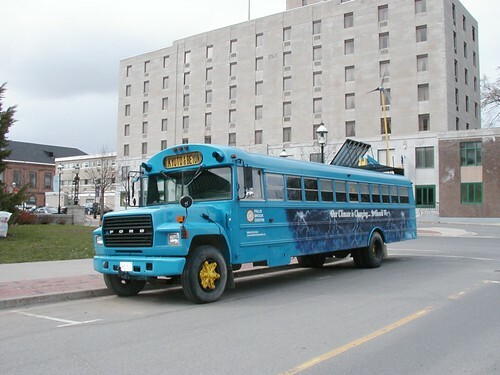 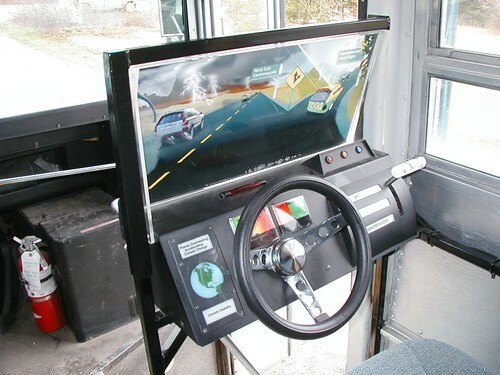 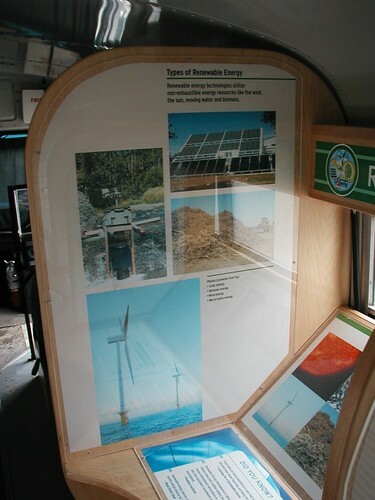 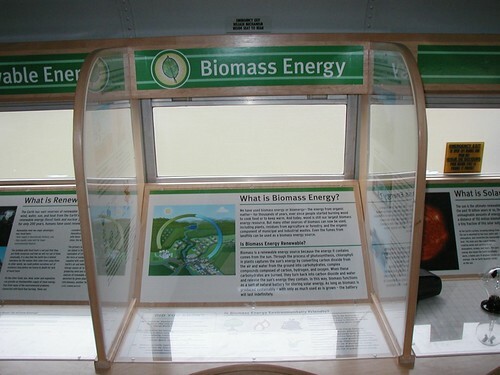 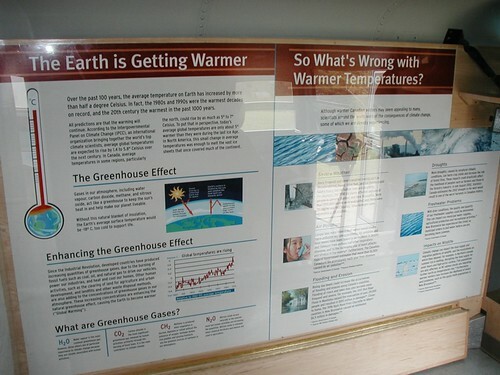 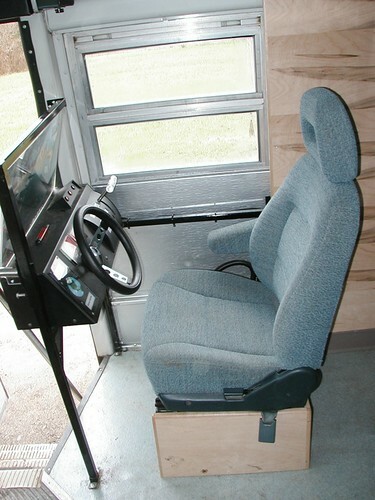 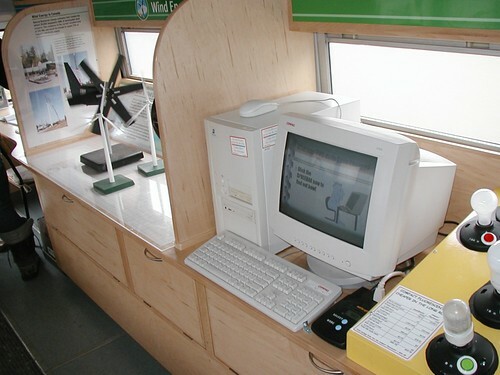 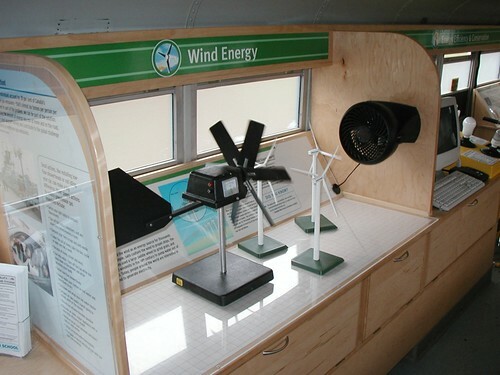 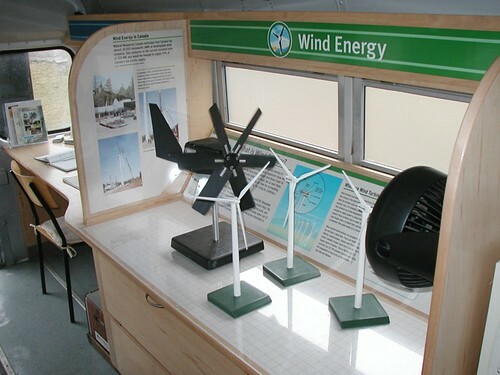 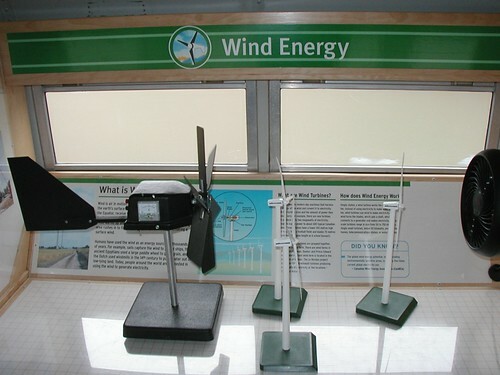 Eleven interactive displays were designed and built, all of which were powered by a hybrid solar and wind energy system on the top of the bus. 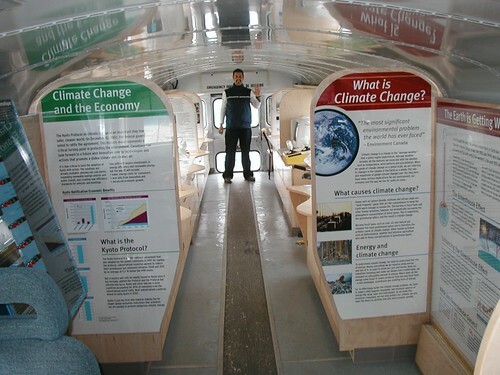 Alex Grunenfelder, my good friend and colleague, did the graphic design. 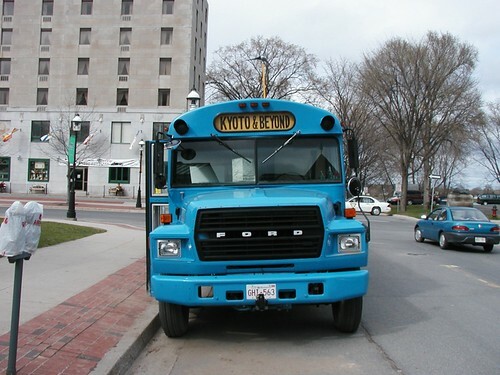 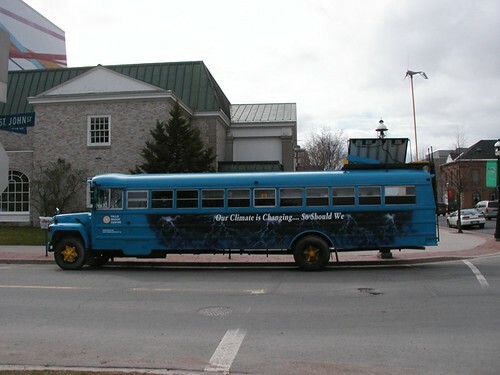 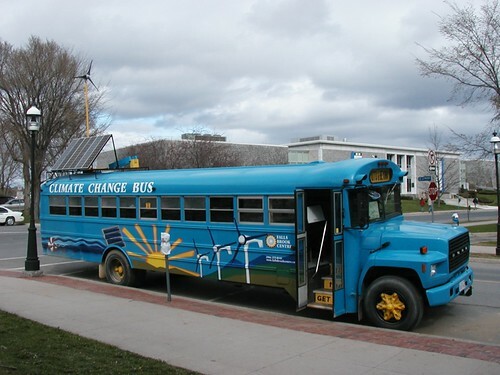 The bus runs on biodiesel and was, and continues to be, toured throughout Atlantic Canada to educate youth about climate change and what we can do to mitigate it.